A project of Norman Rockwell Museum in Stockbridge, Massachusetts, the Illustration History Website is an evolving digital resource designed to create greater access to information about the field in which Norman Rockwell played a seminal role. This first-ever digital connection to an aggregated history of illustration art was made possible in part by a generous grant from The National Endowment for the Arts’ ART WORKS program, and an anonymous donor in honor of illustration historian Walt Reed. We hope the website will be an asset for scholars, educators, students, and the interested public, with accurate materials that are readily available throughout the world. We look forward to sharing the commentary of many authors and scholars through this informational portal, and to facilitating the site's growth through their ongoing participation. The Illustration History Website is a project of the Rockwell Center for American Visual Studies, America's first research institute dedicated to the integrative study of illustration art. The Rockwell Center's goal is to enhance and support scholarship relating to this important public art form, exploring the power of public images and their integral role in society, culture, history, and the world of art. The Rockwell Center for American Visual Studies at the Norman Rockwell Museum awards annual fellowships to support sustained academic research relating to the field. Fellowship information can be found at http://www.rockwell-center.org/about-the-center/supporting-research/. Walt dedicated much of his life to the advancement of scholarship relating to American illustration, heightening awareness of an influential but understudied art form that may never have gained recognition if not for his foresight and passion. Through Walt’s generous encouragement, other fortunate individuals have been able to forge careers as curators and historians, or as enthusiastic collectors of the art of illustration. His writings, which reflect his vast knowledge about the history of illustration and individual American illustrators, have established a significant base of information, spurring widespread appreciation and understanding. 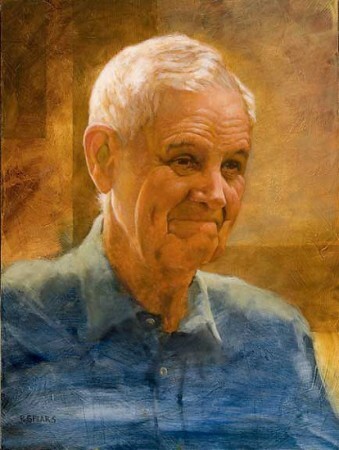 His work has been particularly inspirational for all of us at the Norman Rockwell Museum, who have benefited from his knowledge and expertise, and remember him as an exceptional gentleman and one of the kindest people on earth.